Meet the Family. My factory family. 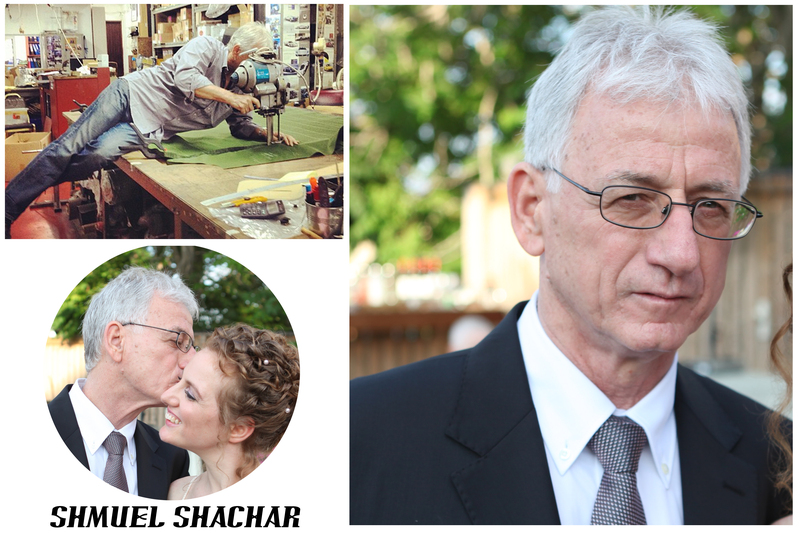 My studio is located in a family factory that specializes in manual leather work, since 1962. You could say that I grew up here, between the machines and leather and smells that arouse inspiration. I have my own corner here, where I create, so to speak, all my life. In recent years, I turned this corner, from a place of fantasies into a place where contemporary fashion is manufactured daily. I use the knowledge of the factory and the professionals that surround me, which I look up to and care for dearly. 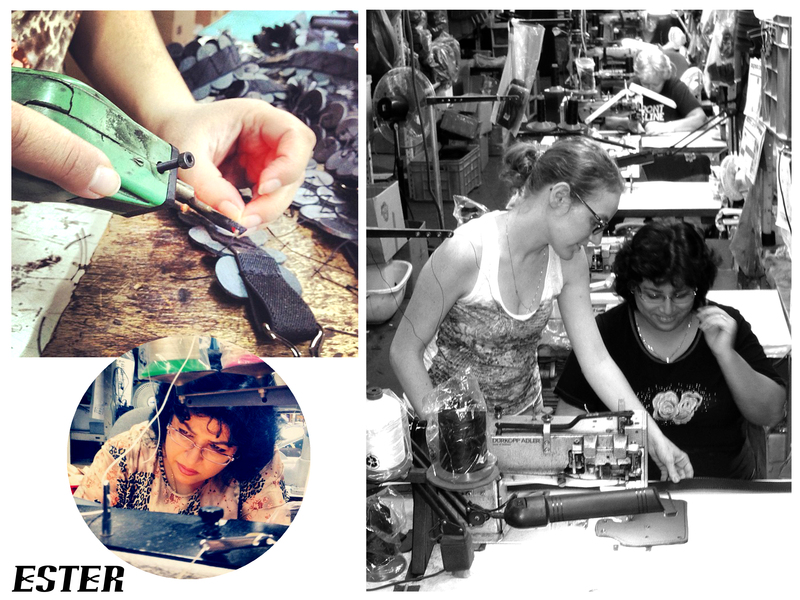 Helping me make dreams and art into practical wearable products! Is the manager and owner of the factory. He is a man of vision. He is everything here. It gives me great freedom to get up every morning and realize my dream. And he also stops me when needed. But in 90 percent of the time it is a great gift, great happiness and a greate facilitator for creativity. And most importantly – inspiration. 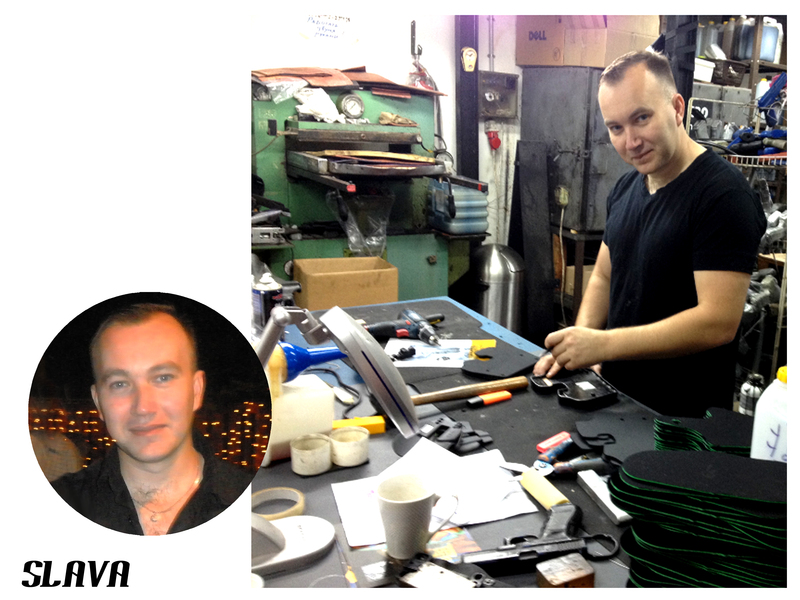 Slava is the plant manager. Slava is a very nice guy and full of energy’ vigor and action. He is responsible for the distribution of work among all workers at the plant. He’s overseas stock going out on time. And knows how to tie loose ends. he is our “Handy Man” and there is no problem he can not solve. I’ve never seen anyone as agile and dedicated as him! His perfectionism is the key. He has great love for cars. He loves to renovateand shimmer his vehicles, and replaces them frequently. Sophia in charge of quality control. Sophia is 59 years old and working with us since 1988. Our factory specializes in high class quality hand made leather products. Nothing is packed and shipped out of here before it undergoes Sophie’s carful examination. 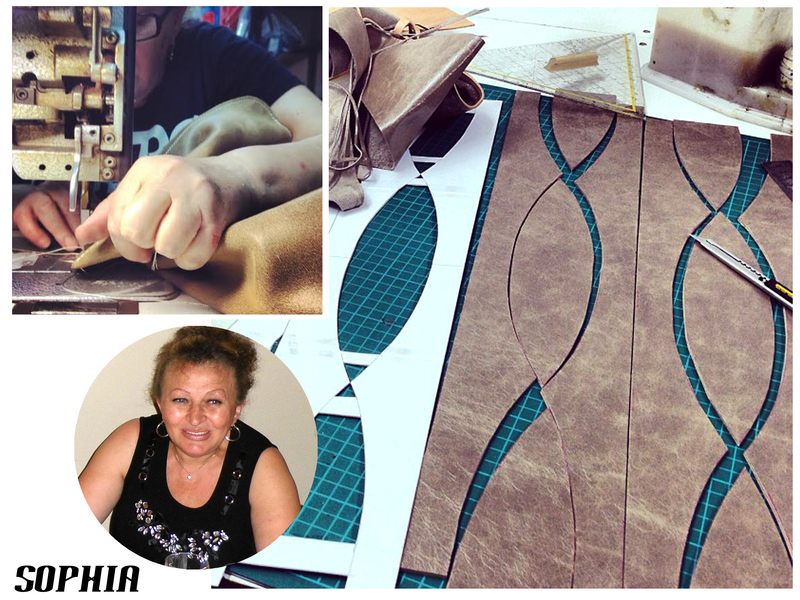 She helps develop all intricate designs and is excellent at outlining patterns and with thinking outside the box. Sophie started working at the factory about a week after immigrating to Israel from Russia and is the most established of all employees and is mother to everyone here. Sophie knows all of the inner workings and always has words of wisdom and encouragement to say at the right place at the right time. She is 53 years old and working with us since 1991. Our Luba joined us a week after she emigrated from Russia, not speaking a word of Hebrew at the time. 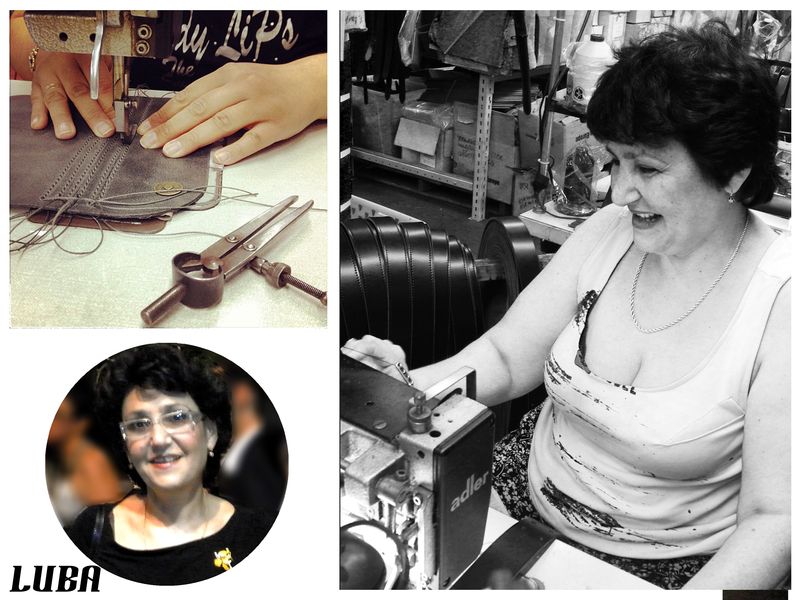 We have six seamstresses but Luba is the head seamstress – She sews the difficult seams and those which require precision. Her hands are priceless. Esther, hand made precision work. 38 years old and working with us since 2010. Esther dreams of being a designer, and she really likes to put her own personal touch to my work. She always has suggestions for optimization and improvement, and I love working with her. She cuts, glues and paints and prepares the product for sewing. Her energy is surene and it is simply a pleasure to see her beautiful smile in the morning! When she’s done raising her three small children, she will open her own brand. In the meantime we get to enjoy her. and that you had a chance to connect to my work. Thanks for the precious time !! !